The medical home program, ECHO, had successfully been assisting families for 14 years and the leadership at CDTC wanted to expand these valuable services to more families served by the Pediatric Primary Care Clinic. Physicians in the clinic had identified some children as “rising risk,” needing assistance with medical management of their child’s condition to prevent it worsening, however not of the complexity of the population qualifying for the ECHO program. 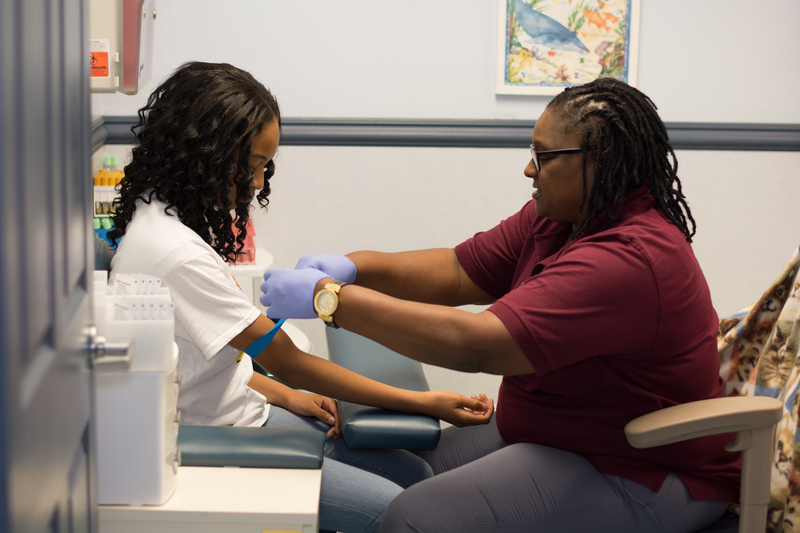 In 2011, the United Way of Broward County (UWBC) granted funding to CDTC to establish the Lift a Child to Health (LCH) program to expand the comprehensive care coordination services to additional families in the Primary Care Clinic. LCH assists families in managing their child’s medical referrals and appointments and helps them navigate a complex health care system so that their child may experience optimal health outcomes. The Care Coordinators help to reduce healthcare barriers for families by linking them with important community resources and communicate with the clinic frequently to help families understand and coordinate services for their children. In September 2014, CDTC was again awarded funding by United Way with a vision to grow the program to serve as many as 240 children. With the increased funding, CDTC was able to hire two new Care Coordinators and the team continues to work with physicians to identify families. In January 2015, CDTC received an incredible grant opportunity from the Taft Foundation to create a program specifically to help families navigate the switch from the pediatric care to the unfamiliar adult care system. Transitioning Adolescents Forward into Tomorrow (TAFT) Program provides care management services to youth from ages 13 to 24 years old and serves as the compass to help guide families through the conversion to adult care for their special needs young adult.